Most people would agree that being successful in business takes hard work. But some people seem to work very hard and still not attain the level of success they were looking for. 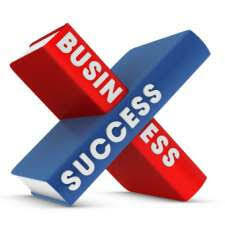 There’s no doubt that there are certain characteristics that the most successful business people all share. Success requires determination and tenacity. You need to be determined to reach your goals no matter what is standing in your way. This is the only thing that’s going to get you over the rough patches that you are most definitely going to encounter. Nothing is guaranteed in life, especially the things worth striving for in business. Successful business people are not afraid to take risks when the possible results warrant it. If you want to be successful, you have to believe in yourself and your abilities enough to stop playing it safe all the time. Successful people don’t ever doubt themselves and their decisions. They have the self-confidence to believe that if they work hard they truly do have the ability to achieve their goals. Self-confidence isn’t the same as having a big ego. It simply means that you trust in yourself. Successful people are aware that they don’t know everything. They understand that the greatest value in life is the education that they can continue to receive from other people, books and other resources. Successful people are always willing to admit when they don’t know the answer, so that they can learn something new. Successful people don’t get hung up when they fail. In fact, they don’t see failure as a losing at all. They realize that failure is just part of winning. If you want to be a success in business, you need to see each failure as an opportunity to learn what didn’t work, and how to adjust your strategy so that the next time you have the biggest chance of success. Success in business rarely if ever happens overnight. The most successful people have a passion for what they do. It’s this passion that enables them to keep going even during the less exciting times. If you don’t have passion for what you do, you won’t have the stamina to work through the many obstacles that you’ll encounter. Not every business strategy ends up working. Successful business people are flexible, and they know that they may have to take more than one approach in order to solve the problem or to reach a resolution. This flexibility has to be almost instantaneous. You can’t waste time lamenting that one strategy didn’t work. You have to be willing to adapt and approach the problem from a new angle. How many of these traits do you share with the most successful people in business? If you don’t have these characteristics yet, you can learn them. With a little patience and hard work, you’ll be able to master all seven of these traits.